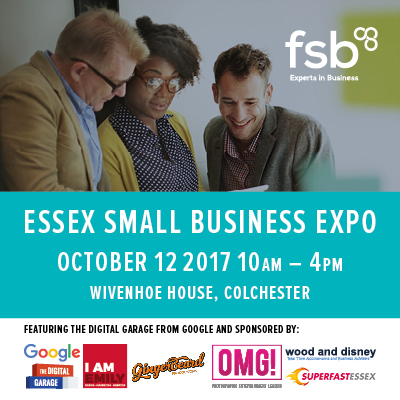 It’s just one week until we will be exhibiting at the FSB Essex Small Business Expo at Wivenhoe House Hotel on Thursday 12th October. As well as promoting local businesses through a speed networking format and exhibition space, the event also has an action-packed seminar programme including talks from experts in their respective fields to give insight into how to grow your own business. From using Google Digital Garage to help you to know your own business as well as reaching new customers, to a young entrepreneur revealing their own business journey , this is an event that is worthwhile for any business looking to gain top tips for development and inspiration. We are very excited to attend this event to support our fellow local businesses, please let us know if you are attending too! It is free to attend the event and you can reserve your ticket here. If you are unable to make it this time but still want to find out a bit more about our business then we would love for you to get in touch for an informal chat.